Operation Eyesight is dedicated to the prevention and treatment of avoidable blindness in parts of the developing world. They work with medical professionals and communities in Africa and India to help provide quality eye care programs and sustainable community development. Since partnering with Donate a Car Canada a few years ago, Operation Eyesight has received several vehicle donations each year. We would love to see that number go up! Donors from Quebec to British Columbia have donated minivans, SUVs, and cars in the name of restoring sight. Recycle-ready, or drivable and ready to perform at auction, your four-wheeled wonder will help! Take a look at the life-changing work Operation Eyesight is doing! Sushila quickly became considered one of the most successful community health workers in her village. In just three months, she conducted door-to-door surveys of all households in 10 remote communities, and she found 89 patients who needed treatment. After a series of eye health education workshops and counselling, Sushila convinced most of the patients to receive treatment that would restore or save their eyesight. However, there were still 14 blind villagers who refused all treatment. Not to be deterred, Sushila tirelessly visited them every day, taking successfully-treated patients of the village to speak to those who were still resistant, and to counsel them in the ways in which treatment could restore and improve their quality of life. It took Sushila six months’ of hard work to finally convince the other 14 patients. She had to involve religious leaders and neighbours in her community to spread the word about the ways in which treatment had changed people’s lives for the better. Finally, thanks to the incredible generosity of supporters like you, they received treatment. He went from being the breadwinner of his family to a dependent, unable to even walk around on his own. His wife and children needed to help him with everything. It seemed like things couldn’t get any worse, but one day while his wife was outside working on their small farm, Thomas fell and badly injured both his legs. From that point on, he was forced to stay inside to nurse his wounds. Thomas worried himself sick, but there was little he could do. Family members encouraged Thomas to try traditional medicine, but it didn’t help. Others told him to bear it, telling him that blindness was an inevitable consequence of aging. But then – HOPE! Thomas heard about an Operation Eyesight-supported eye unit at the nearby town of Iten. His son took him there, and he underwent cataract surgery on both eyes. His operations were successful; and today, Thomas can see – and sew – again! 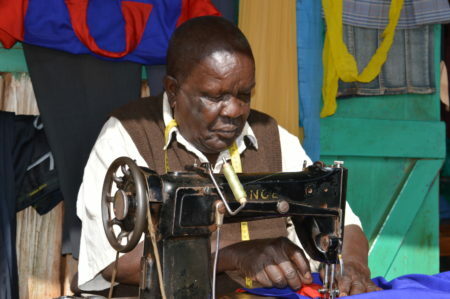 Now Thomas has returned to his tailoring business with renewed hope! Thanks to the support of people like you, his dignity and his livelihood have been restored along with his sight! “My family and I are extremely happy! Now I can thread a needle’s eye just like before, and I’ve gone back to my tailoring business. My customers are coming back and life has become sweet again,” he told us. 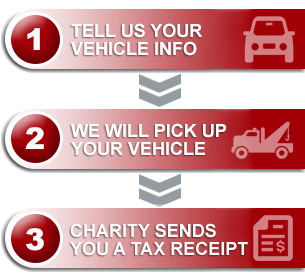 If you have a vehicle that you would like to give in the name of Operation Eyesight, Donate a Car Canada can help! Visit the DACC website, or call in to talk to the live donor support team (1-877-250-4904). Your beloved vehicle could be the means to healing that someone like Thomas is waiting for!